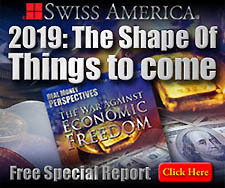 The Gold Bullion Coin Act of 1985 authorized the United States Mint to issue one-tenth, one-quarter, one-half, and one ounce gold bullion coins. The law required the gold to come from American sources. 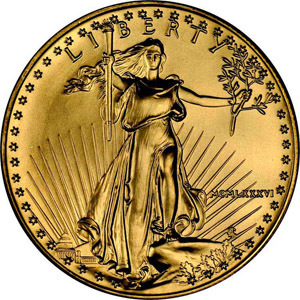 The American Gold Eagle coins were first issued in 1986. 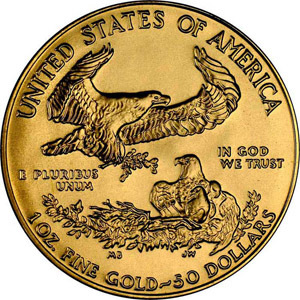 The obverse of the American Gold Eagles is a modified version of the Augustus Saint-Gauden's design for the $20 gold piece. The reverse features a "family of eagles" design by Miley Busiek. Description: Modified design of Saint Gauden's U.S. $20 Gold Coin Design, "Standing Liberty". Description: "Family of Eagles" motif, symbolizing family tradition and unity.